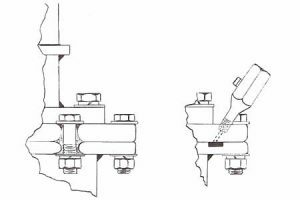 Figure 1 shows three bushings leaking from their base mounting flanges. Usually flange gaskets can be drilled as seen in Figure (2). However, there are times when the technician cannot get sealant travel in the groove. 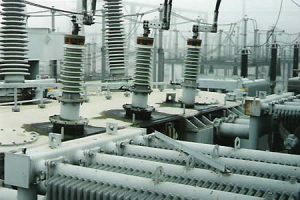 If this is the case, measurements will have to be taken in order to design a clamp that will enclose the split line of the two flanges. Additionally the bolt holes will have to be drilled and injected with sealant to prevent leakage from the bolt holes.